Natural gas has been prominently featured in the media recently, from both environmental and financial standpoints. As energy prices continue to rise, natural gas has increased in popularity among homeowners as cleaner, cheaper and more efficient alternatives to oil and electricity. At Caliterra we want to provide the best, most family friendly environment in the Texas Hill Country, which is one of the reasons that we use natural gas provided by Texas Gas. There are several differences between propane and natural gas, and in an effort to educate our residents as well as the larger Dripping Springs community; these are the top three differentiating factors. Propane is sold and delivered in gallons and is easily converted to cubic feet- which is how natural gas is sold and delivered- and both natural gas and propane are measured by cubic feet when in vapor form. In vapor form, 1 cubic foot of propane contains approximately 2,516 BTU (British Thermal Unit) and 1 cubic foot of natural gas contains approximately 1,030 BTU, so it’s accurate to say that propane contains more than twice the usable energy content per cubic foot than natural gas. Unlike electricity, natural gas and propane can be directly compared based on their individual BTU ratings. For example, if natural gas cost $15.00 per 1,000 cubic feet, that would buy 1.03 million BTU’s of energy, which is the equivalent of 11.26 gallons of propane. 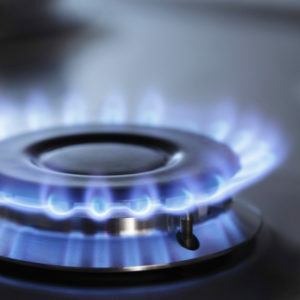 Based on cost alone, natural gas is more cost effective than propane at $2.50 per gallon. Caliterra is excited to call the beautiful Hill Country town of Dripping Springs home. For additional information on our location, builders, family friendly amenities or more detailed information about the Caliterra community, visit our Facebook page or our website today!